To meet the continuing demands of the growing engineering practice at LPA, Tindall will provide additional leadership and oversee the design of mechanical, electrical, plumbing, technology and energy systems. With more than 15 years of experience, Tindall is a licensed mechanical engineer with a specialization in designing high performance HVAC systems and energy-efficient commercial buildings. Chris’ management and technical skills enhance the capacity and expertise of our MEP team, allowing us to continue to meet the needs of our current clients as well as plan for growth. Ten years after integrating engineering services into its practice, LPA Inc., one of the largest design firms in California, is pleased to announce the addition of Chris Tindall as Associate and Director of Mechanical, Electrical and Plumbing (MEP) Engineering. In his role, Tindall will be responsible for overseeing the financial and operational aspects of the MEP engineering group and provide technical leadership for integrating appropriate and sustainable engineering systems into projects. Since including engineering into its integrated design services 10 years ago, the firm has grown to include more than 70 engineers with nearly 35 of those being in mechanical, electrical and plumbing. Since 2014, LPA’s MEP engineering team has grown by more than 50 percent due to increased demand for engineering services in projects across market segments including K-12 schools, higher education and corporate office environments. 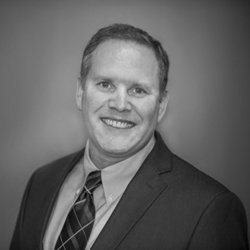 With more than 15 years of experience, Tindall is a licensed mechanical engineer with a specialization in designing high performance HVAC systems and energy-efficient commercial buildings. A proven track record in architectural engineering and broad knowledge of building systems contributes to the high-degree of quality given to the projects he’s worked on. With significant involvement in more than a dozen LEED projects, Tindall’s experience matches LPA’s sustainable design approach that is paired with proven technologies and sound engineering principles to optimize system performance while minimizing the energy and maintenance costs. His project experience ranges from corporate buildings to science and aerospace facilities, making him a strong addition for the range of projects the firm designs. “Chris has hit the ground running helping to shape integrated design projects while providing oversight and quality control for our MEP engineering work,” added Ring. In addition to Tindall’s technical leadership and managing MEP engineering quality and processes, he will be involved with multiple projects in the Southern California region. Founded in 1965, LPA has more than 350 employees with offices in San Antonio and Irvine, Sacramento, San Diego and San Jose, California. The firm provides services in architecture, sustainability, planning, interior design, landscape architecture, engineering and graphics. With a proven commitment to integrated sustainable design, LPA designs facilities that span from K-12 schools, colleges and universities to corporate, health care and civic establishments. More than 700 major design awards attest to LPA’s commitment to design excellence. For more information, visit http://www.lpainc.com.